Home appraisals are tax deductible only for donations, investment property and casualty losses. 3. Can I Deduct My Labor Expense for Investment Property Repairs? Home appraisals, for owner-occupied home purchases or refinancing purposes, are not a tax write-off. If the home appraisal is completed for a charitable donation of a house, it becomes tax deductible as part of the value of the property donated. If you've had a serious casualty loss to your home, an unreimbursed appraisal to determine its as-is and/or as-repaired value, is a tax write-off. Finally, when you buy an investment property, appraisal fees can be deducted over the life of the mortgage as a qualified expense. An appraisal required to get a mortgage on an owner-occupied home is one of the many closing costs that is not a tax-deductible item. Whether purchasing or refinancing your primary residence, home appraisals are not qualified for a tax write-off by the IRS. Home appraisals are considered a one-time expense of obtaining a mortgage loan, not applicable to the interest paid or real estate tax categories, which are deductible items. Although historically rare, charitable donations of real estate do occur. Both the recipient -- the charity -- and the donor -- the taxpayer -- must agree on the value of the gift. If the donation is real estate, the most equitable method of determining its value is to complete a formal appraisal. If the donor, not the nonprofit charity, pays the cost of the appraisal, she can deduct the expense as a component of the gift. Even if the house or structure is to be torn down, an appraisal is a valid tax-deductible expense. Buying investment homes brings other factors into tax deductibility considerations. 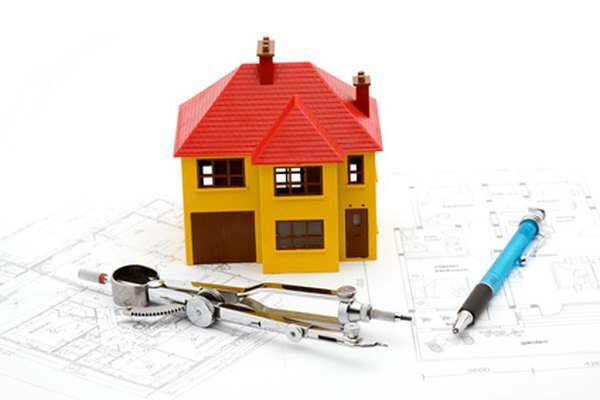 Homes that meet investment criteria allow owners to deduct operating expenses, such as accounting and legal fees, maintenance and repairs, license fees, pest control, snow removal and other related costs. Mortgage points and interest paid are tax write-offs. Some closing costs, including home appraisals, not deductible for primary residence home loans, become tax deductible as business expenses for investment properties. Whether you have a stated amount or the preferred replacement-value type of hazard insurance, suffering a casualty loss to your home involves determining an amount for repairs and a value of the restored property. Since you'll usually need a home appraisal to determine the value "as is" -- after the loss -- and "as complete" -- after repairs are made -- this appraisal cost can usually be claimed as a tax write-off. However, this expense should not be deducted if your insurance company reimburses you for the appraisal, since you suffered no financial loss for the cost.